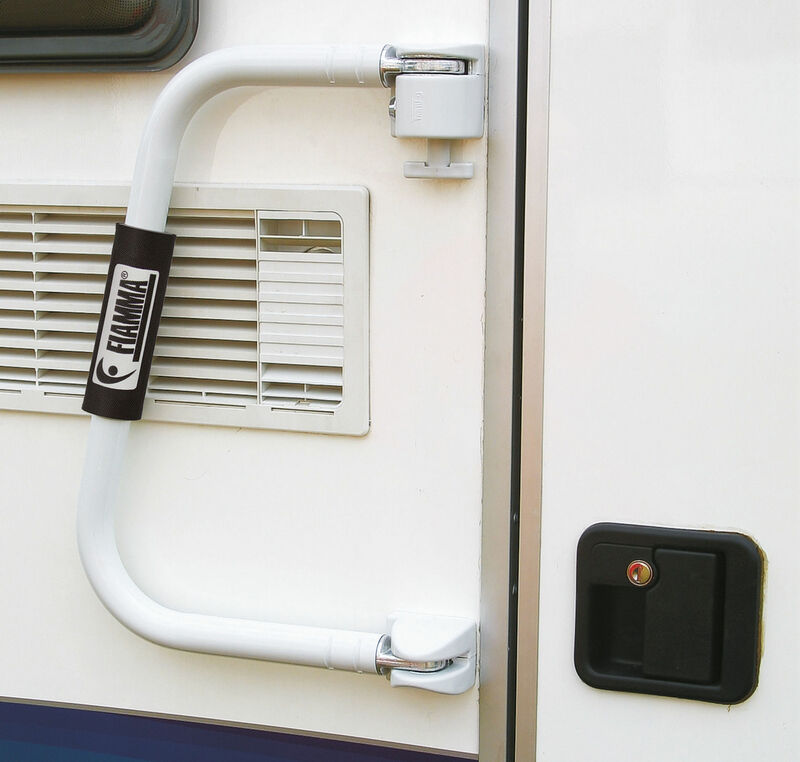 'U' shaped security bar made from solid 30mm diameter painted aluminium. 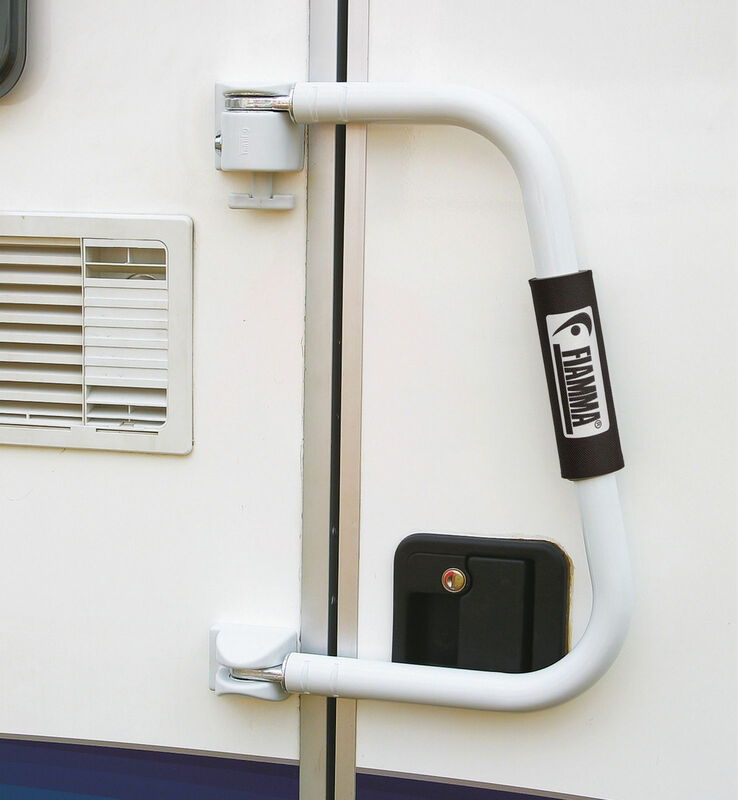 The Fiamma Security handles are hinged and locked so they can bar the caravan door or swing out to be used as a handle to make entering the vehicle easier. 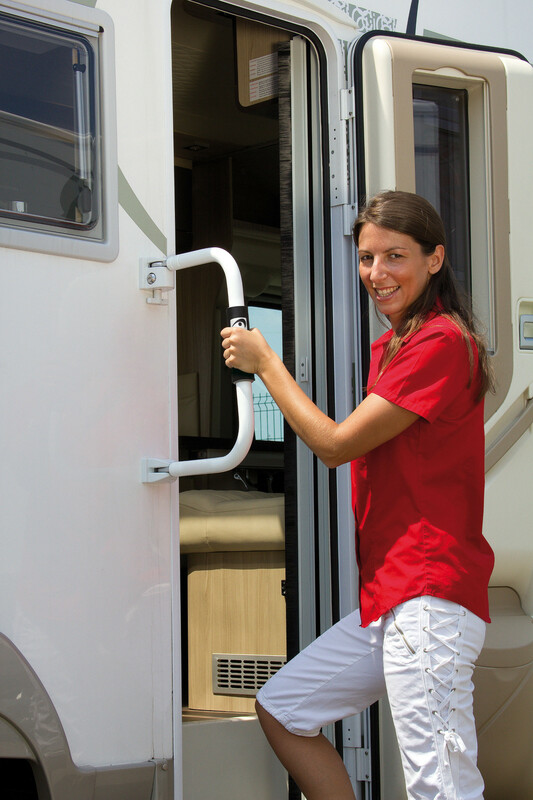 These handles bolt through the caravan or motorhome wall next to the habitation door and adapt to all doors opening from right or left. 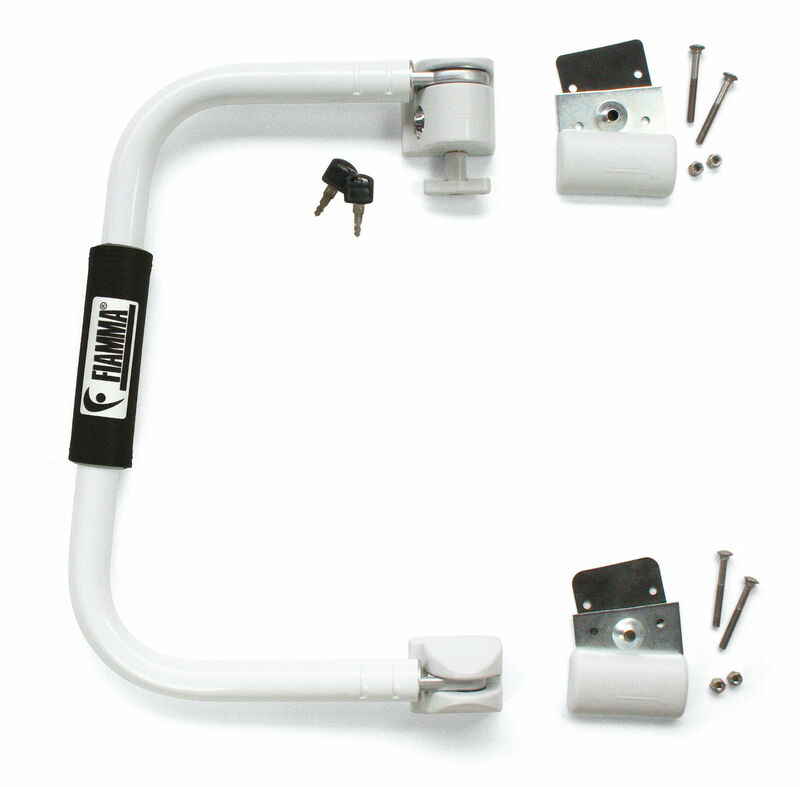 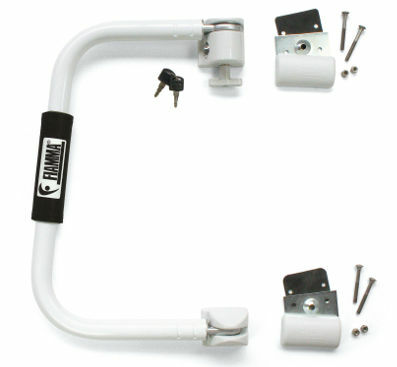 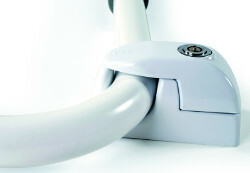 Fiamma Security 46 is the taller, extended version version of the security handle with fittings approx. 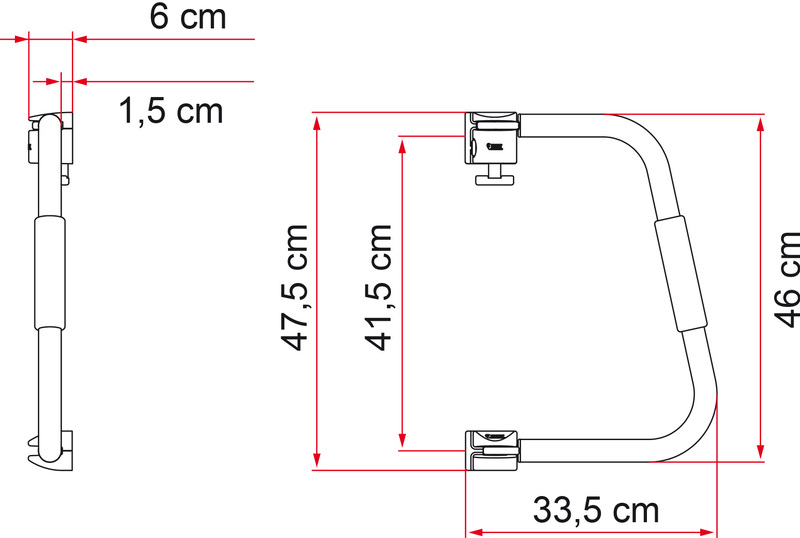 46cm apart (See diagram).